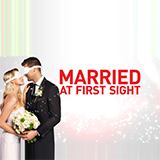 Made In Chelsea is a TV show on Australian national television from Channel 9 with an average rating of 3.4 stars by TVCatchUpAustralia.com's visitors. We have 11 episodes of Made In Chelsea in our archive. The first episode of Made In Chelsea was broadcast in December, 2018. Did you miss an episode of Made In Chelsea but don't you wan't that to happen in the future? Please set an alarm and add Made In Chelsea to your favourites, so we can remind you by email when there's a new episode available to watch. Completely free: handy! It's Christmas, and there's bound to be plenty of awkward encounters and some shocking surprises. Millie tells everyone about Hugo and Rosie's betrayal; Jamie has a secret of his own to reveal; Caggie begins to appreciate Spencer's friendship. Jamie organizes a getaway; Spencer finally gets his answer from childhood sweetheart Caggie; Proudlock and Alice's relationship grows. Caggie's ex, Proudlock, hits it off with her cousin Alice; Ollie and Cheska grow further apart from Binky. Louise gives Spencer and Caggie her blessing; Binky and Cheska's friendship develops cracks; Ollie and Chloe contend with relationship troubles; Francis takes Natalia on a dream date. Jamie organises a holiday weekend to help repair fractured relationships in the group; Spencer is torn between new girl Louise and childhood sweetheart Caggie; Francis needs help planning a dream date. Cheska spreads a malicious rumor about Hugo; Spencer suspects that Louise is looking for more than just a casual relationship; Gabriella has difficulty getting over Ollie. Happy bachelor Spencer is reunited with an old friend; Hugo and Millie's relationship begins to crack; Francis utilizes a unique strategy to publicize his charitable foundation. Spencer is forced to make a difficult decision about his relationship with Funda; a newly single Ollie seeks male bonding; Hugo cannot decide between Rosie and Millie. The group goes on a hunting holiday; Funda confronts Caggie about her feelings for Spencer; Millie and Rosie both want to date Hugo; Ollie seeks relationship advice from Binky.